L. Erickson Grab & Go Pony tube. For in-store inquiries, use sku #135612. 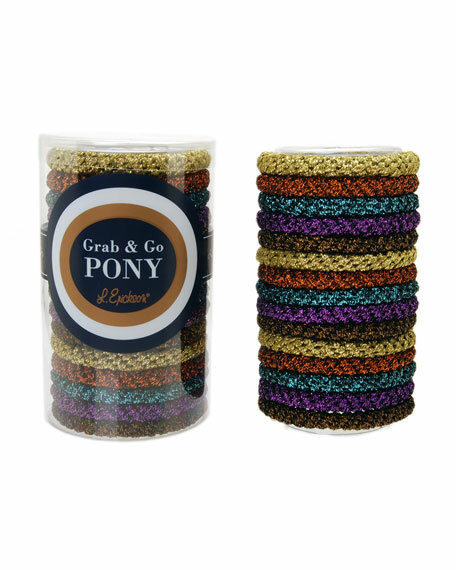 L. Erickson sport pony tube, set of 5 ponytail holders. Metal-free design prevents damage. Approx. 2"Dia. Soft Italian Lycra spandex. Made in Italy.